Whether you’re trying to minimize your carbon footprint or are concerned about the effect harsh chemicals may have on your family’s health, switching to natural bathroom cleansers is a great choice. Although there are tons of “green” bathroom products available in stores, in most cases it’s cheaper and more effective to make them on your own. And, chances are, your kitchen cupboard is already stocked with many of the ingredients. From cleansers made with grapefruits and lemons to vinegar and baking soda, here are some of our favorite natural and homemade bathroom cleansers. If your bathtub has unflattering rings or rust that won’t go away, try this grapefruit/salt combo on the grime. All you’ll need is one grapefruit and ¼ cup coarse kosher salt. One medium to large grapefruit will clean your entire bath or shower from top to bottom, including the fixtures. Depending on the space and severity of the grime, use a half a grapefruit or more than one grapefruit. Once you’ve cut the grapefruit in half, sprinkle the top liberally with salt. Wet your bathtub, and sprinkle the remaining salt around the bottom. From there, use the grapefruit to scrub around the tub, making sure to “juice” the grapefruit over the fixtures while picking up spare salt along the way. 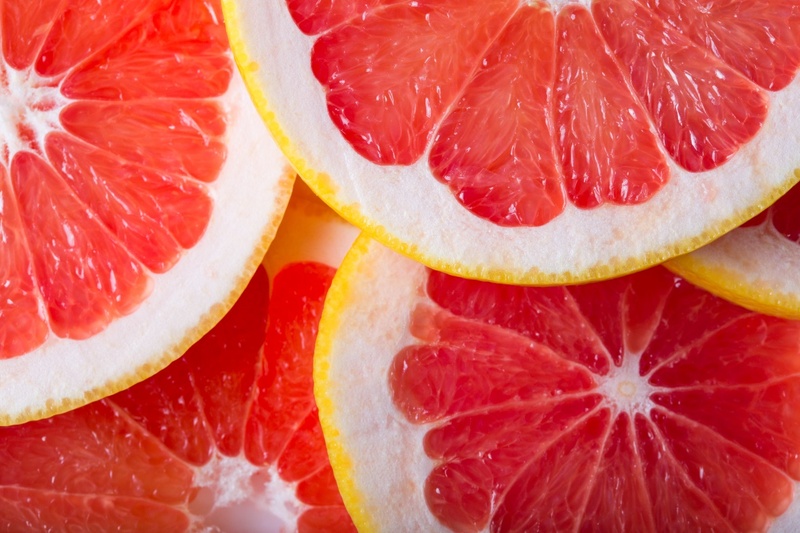 Once you’re done, rinse away the pulp, juice, and toss the grapefruit in the trash. To make a daily-use tub and tile cleaner on your own, all you’ll need is baking soda, lemon juice, salt, dishwashing liquid, and vinegar. Mix ¾ cup baking soda, ¼ cup lemon juice, 3 tablespoons salt, 3 tablespoons dishwashing liquid, and ½ cup vinegar in a large bowl. Mix together and pour the mixture into a plastic container. When you’re ready to use the cleanser, simply shake and/or pour a small amount onto a rag or directly onto the area to be cleaned. Scrub and rinse with a wet rag. Note: if you’d like the cleanser to smell like oranges, lemons, or your favorite scent, add ten drops of essential oil once the liquid has been mixed. If you’re tired of using bottle after bottle of air freshener, try adding a simple, natural scent to your bathroom with a basic baking soda-based room freshener. All you’ll need is a mason jar, ½ cup of baking soda, essential oil of your preference, and a tapestry needle. Simply pour ½ cup of baking soda into the Mason jar and add 8-12 drops of essential oil of your choice. If you’re unsure about how much essential oil you should be using, start off by adding less oil. If it’s not strong enough to scent the room, add more. Poke holes in the lid with the needle, and you’re good to go. If you’d like to improve the look of the Mason jar, glue some pretty, designed paper to the top of the lid or tie a bow around the neck of the jar. Finally, if the frequent trips to Bath & Body Works are breaking the bank, you can make your own DIY foaming hand wash using unscented castile soap, coconut oil, and essential oils. Here’s how: add 2 tablespoons of castile soap and 2 teaspoons of fractionated coconut oil into an empty foaming soap container (if you don’t have one on hand, they’re available for purchase online), add 10-15 drops of essential oil, and fill the rest of the bottle with water, leaving enough room for the pump to be inserted. Screw on the pump, shake gently, and say hello to your very own DIY foaming hand wash. Note: the holidays are right around the corner, and this makes a great, homemade gift for virtually any friend, family member, or co-worker. Most people never give their water heater a second thought – until it stops working. 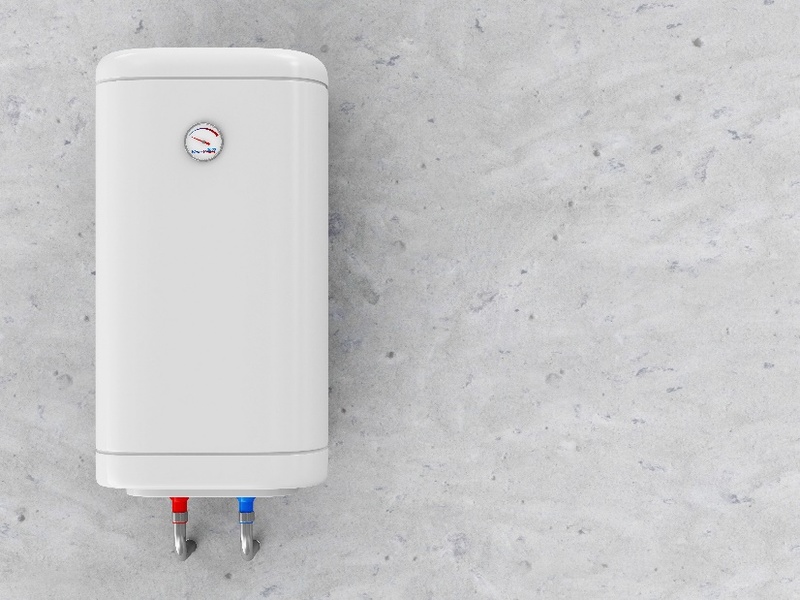 Experts recommend draining your water heater every year, no matter what type of storage tank water heater is currently installed in your home. Regular maintenance helps remove sediment which, over time, can compromise the energy efficiency of your water heater and can cause fixtures throughout your home to clog. Just because clean-looking water comes out of your tank, doesn’t necessarily mean it’s in tip-top shape. To remove sediment, you must completely drain your water heater using these steps. Before you start draining your water heater, it’s important to check the pressure-relief valve. This valve helps prevent the tank from bursting due to excess pressure. To check this valve, switch off the power to the water heater and trip the lever on the valve in the cold water supply line. Once you have opened the valve, listen for air and look for water. If you hear air and see water, the valve is working as designed and you can move onto the next step. If nothing happens, you’ll have to replace the pressure-relief valve before moving forward. Once you’ve ensured the pressure-relief valve is in working order, it’s time to run the drain line. To do this, run a garden hose from the water heater drain to the exterior of your home. If the tank sits in a basement, you’ll likely need to hoses: one that runs from the rank to a portable pump, and another that runs from the pump outside. To be on the safe side and protect yourself from burns, give the water in the switched-off water heater a few hours to cool off before beginning this process. Note: taking a long, hot shower is an effective way to speed up this part of the draining process. Once the water stops flowing out of the hose, open all the hot water faucets in your home and turn the water supply back on. This will flush out any of the remaining sediment left behind in the water heater. 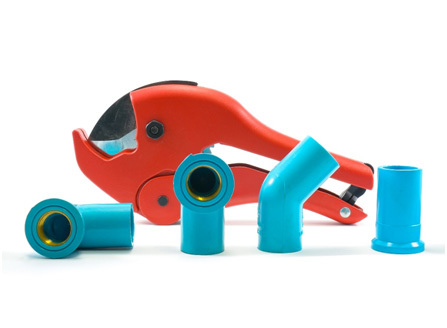 Let the water run through the hose until it comes out clear – once the water runs clear, close the drain valve. At this point, it’s safe to turn the hot-water faucets inside your home back off. The heating element could possibly blow if there is no water in the tank. Some tanks may need to be completely full in order to prevent damage, while others don’t. When in doubt, always read the warnings and instructions on the tank label carefully, as water tanks vary. If the water coming out of the tank appears to be running clear, turn the supply off before closing the water heater drain valve and turning on the cold water supply. At this point, it’s safe to turn the pressure-relief valve back to its original position. Once you’ve done so, restore the power to your water heater and move on with your day, as you’ve successfully removed drained and removed the sediment from your water heater. Whether you live in California or have heard the drought news from across the country, reducing your water consumption is as important as ever. While cutting back on water usage isn’t mandatory in every city or state, going green in the bathroom can not only save energy and water, but it can lower your monthly utility bills as well. Whether you're completely renovating your bathroom or are looking for ways to reduce your water consumption and be kinder to the environment, there are dozens of eco-friendly bathroom fixtures and products available from some of the most popular manufacturers. Here are some benefits of "going green". According to a 2013 report from the United States Environmental Agency (EPA), each person in the United States uses an average of 100 gallons of water each day. Unfortunately, a part of that waste can be contributed to dripping faucets and toilets that don't stop running. If your home is one of the 10% that have water leaks due to old and ineffective toilets and faucets, you should consider an upgrade – one person alone would use 30% less water by upgrading to water-efficient fixtures and appliances. Whether you live in an apartment, a rented home, or a home of your own, it's a good idea to invest in water efficient fixtures. Since eco-friendly bathroom fixtures and appliances conserve energy and water, homeowners are sure to notice a decrease in their energy and water bills. Traditional showerheads use an average of 2.5 gallons of water per minute, while water-efficient showerheads use just 1.5 (or less) gallons of water per minute. Similarly, replacing your old toilet with a low flow toilet can help the environment and your bank account. Depending on the fixtures or appliances you replace with water-efficient alternatives, you'll notice a decrease of 10-50% on your monthly water and energy bills. Over time, this can quickly add up to thousands saved per year. Before the 70s, every product seemed to be coated or made from lead – including faucets, paint, and other bathroom fixtures. If your home was built before the 60s, replacing the fixtures with eco-friendly alternatives will not only conserve water and save money, but it can improve the indoor air quality of your home. In order to truly preserve your home's air quality, switch to eco-friendly cleaners. Major cleaning brands have green cleaning products available that are affordable and easy for the public to get their hands on. 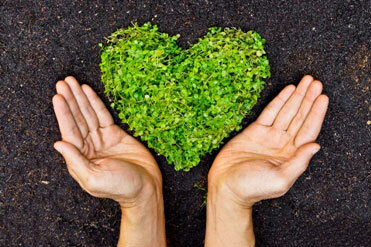 Biodegradable and natural products will serve your home's cleaning needs without negatively harming the planet. Eco-friendly homes require less effort to maintain since eco-friendly products tend to be more durable. Since installing green bathroom fixtures give you the unique opportunity to conserve our Earth's resources without having to change your lifestyle, you'll be actively protecting natural resources for future generations to come. With constantly dwindling natural resources, homeowners should make every effort to conserve what they can while they still have the chance. Since eco-friendly homes will only continue to grow in popularity, installing eco-friendly fixtures could even help you sell your home more quickly once you decide to put it on the market. Over the past few decades, contractors and home builders have consistently installed oak vanities in new bathrooms. While there’s nothing wrong with wood vanities, the humidity of a bathroom can begin to make them look washed out over time. Whether you’re an expert DIYer or are new to the game, repainting your bathroom vanity is a fun and easy weekend project. As with any other paint job, it requires some preparation and lots of patience; follow these steps and you’ll be well on your way to a shiny "new" bathroom vanity. As with any other DIY project, collecting your materials beforehand is essential. Materials can vary depending on the condition of your vanity, but here’s a list of the basics: a high density foam roller, household cleaner, alcohol, primer, sandpaper, foam brush, acrylic latex-based paint, painter’s tape, and plastic sheeting. You’ll likely create a mess during the project, so it’s best to protect your walls and floor with the plastic sheeting. From there, remove the vanity drawers and doors, and remove all hardware. Wash the doors and vanity with a solution of two ounces of household cleaner per gallon of water. After the doors and vanity have dried, rub down the surfaces with alcohol. This will remove any residual gunk and prepare your vanity for a fresh coat of paint. Acrylic latex-based paint, whether sprayed or brushed, needs an undercoat of a compatible primer to ensure proper adhesion. Use 150-grit sandpaper to sand the exposed surfaces, scraping loose any peeling paint. Once you’ve finished sanding, use a vacuum or tack cloth to wipe away the excess dust. Before you actually begin painting, apply two coats of primer to the drawers, doors, and vanity. Once dry, it’s time to paint. A high quality acrylic latex-based paint will work fine, or you can buy a paint that’s formulated specifically for cabinets. 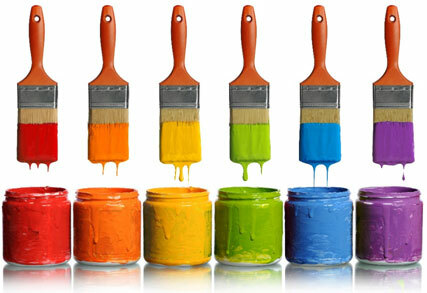 Typically, you’ll need at least two coats of paint to eliminate any burn through and/or eliminate the wood look. If you want to give your vanity a totally new look, consider changing the drawer knobs and door handles. While your drawers and doors are separated from the vanity, fill the existing holes with wood filler and allow them to dry. Once dry, mount the new pulls and handles for a brand new look. Once the new hardware has been installed or the old hardware has been replaced, it’s time to reassemble the vanity. Start with the bottom drawers and work your way up, making sure to fix any broken drawers or cracks along the way. Be patient – it can take a day or two for the paint to dry completely, and the last thing you want is to have to paint a scratched or damaged vanity all over again. If you don’t have a window in your bathroom, wear a dust mask while sanding and painting to avoid breathing in dust or fumes. Be sure to follow the recommended drying requirements for the primer and paint, otherwise the final result may not turn out as desired. Some stores carry a specialty paint designed for cabinets – this paint can be used on vanities and does not require a primer. Regardless of your DIY skill level, repainting a bathroom vanity is a relatively easy home renovation task – you’ll save time (and money) by not having to hire a pro!